Brother Filtration has a advantage of innovating products to provide solutions for our customer’s difficult contaminant management problems. For Sea water treatment, for industry water treatment and process water filtration, all the different applications we provide matching engineering service for the customers. One of our strengths is the fact that we engineer and manufacture the housings for use with our High Flow filter cartridge technologies. This provides for the effective marrying of the High Flow filter cartridges and internal technology with the housing in the most effective manner. Brother Filtration offers a complete line of cartridge filter housings for use in the clarification, sterilization and high purity filtration of liquids. A broad selection of single and multi Stainess Steel filter cartridge housings is offered for the full range of critical process filtration requirements. 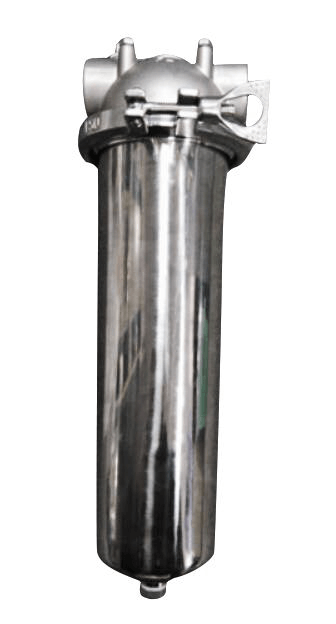 All Brother Filtration cartridge filter housings are constructed of electropolished 304 and 316L stainless steel, providing excellent durability corrosion resistance. The electro polishing finish eliminates possible contamination which could leach into the process chemicals. We provide surface finishes, sizing, connector design and other features built to meet specific requirements. Our Cartridge Filter housings are also available in ASME Code-stamped. Brother Filtration SS Cartridge filter Housing series offers wide range of flow capacities & contaminant holding capacities. Cartridge filter housing diameters can accommodate around 1 to 160 cartridges. 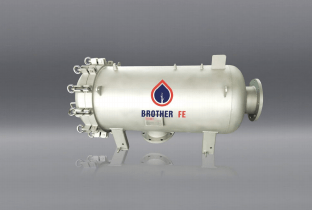 Cartridge filters Brother Filtration offers a complete line of cartridge filter housings for use in the clarification, sterilization and high purity filtration of liquids. The construction of Cartridge filter housings depending upon type of cartridge & choice of end connections. The housing comes in 10″ to 40″ filter cartridges(DOE, SOE 222/FIN, SOE 226/FIN, SOE 222/Flat, SOE 226/Flat…) & 20/40/60″ High Flow filter cartridges, the different cartridge sizes depends on the needs of your application. SS Single Cartridge Filter Housings are suitable for smaller process flows where a single filter cartridge is required. It comes in 10″& 20″ Standard & Big Blue filter cartridges. SS single element filter housing is an all stainless steel unit ideal for general industrial service. All body surfaces are constructed of 304 or 316L stainless steel and are electro polished. The advantage of SS Single Cartridge Filter Housing is Maximum Operating Pressure: 10 Bar (145Psi) and has longer life time than standard plastic Cartridge Filter Housing. SS Multi Cartridge Filter Housings Series A are constructed of electro polished SS 304 /SS 316L material. All body surfaces are constructed of 304 or 316L stainless steel and are electro polished. It gives excellent resistance to corrosive chemicals & product purity. This multi cartridge housing can consist of 3pcs, 5pcs cartridges or up to 20pcs standard filter elements to give the desired flow rate as per customer requirement and is a range of light weight multi-cartridge housings suitable for general liquid process applications. 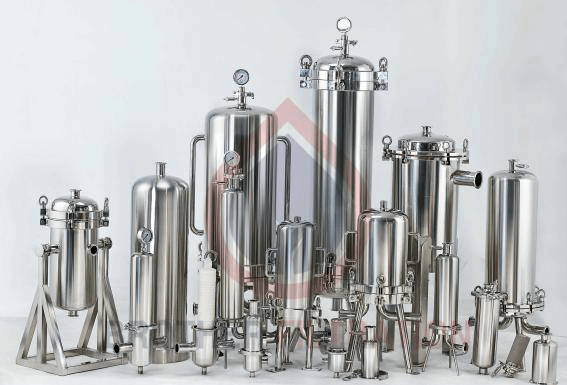 The most common applications for these cartridge filter housing products are: Water Purification; Food & Beverage Production; Pharmaceuticals; Cosmetics; Microorganism Removal/Sterilization. The unique, “quick-opening” clamp design uses a standard O-ring. They are offered with a range of closure types and inlet and outlet connections, We produce them with different types of connection sizes so as to match various flow rating and piping configurations. SS Multi Cartridge Filter Housings Series Boffer a wide range of flow capacities and contaminant holding capabilities. These filter houings are constructed of electro polished SS 304 /SS 316L material. All body surfaces are constructed of 304 or 316L stainless steel and are electro polished or Sandblasting. This multi cartridge housing can consist of 20, 40pcs cartridges or up to 160pcs standard filter cartridges to give the desired flow rate as per customer requirement. It provides High flow rates for Process Fluids treatment, Reverse Osmosis prefiltration. 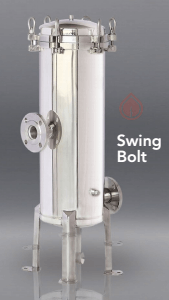 Sanitary stainless steel filter housings are specifically designed for sanitary applications in pharma and food, especially where process needs clarification. They are produced to have a high quality surface finish (Internal Surface Finish: 0.6 µm Ra; External Surface Finish: 0.8 µm Ra electro polish) and is suitable for the most critical applications found in the Pharmaceutical, Fine Chemicals and Beverage industries. Sanitary Cartridge Filter Housing comes in 10″ to 40″ membrane pleated filter cartridges (PP/PES/PTFE/PVDF/Nylon66). This SS Sanitary Cartridge Filter Housing can consist of 1, 3, 5 or up to 30 membrane pleated filter cartridges to give the desired flow rate as per customer requirement. The flow rates are maximized by applying positive pressure to the fluid over a broad membrane surface. 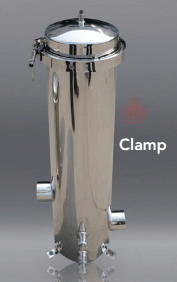 The body of Sanitary Housings are autoclavable. Higher differential pressures are possible, resulting in higher flow rates. SS High Flow Cartridge Filter Housings design is one of our strengths, there are situations where higher flow is to be achieved with less footprint, so we engineer High Flow Cartridge Filter Housings for use with our own produced High Flow filter cartridges. These filter housings are available in standard and custom configurations to suit your specific needs. It provides for the effective marrying of the High Flow filter cartridges and internal technology with the housing in the most effective manner. They are available in a variety of sizes to accommodate from 1 to 30pcs High Flow filter cartridges in 20, 40 and 60inchs lengths and several popular styles. You can select from the “High Flow Filter Cartridges” basic size 6inch (152 mm) seal diameter or other popular High Flow filter cartridge types. Today, Brother Filtration are a market leader in the water filtration industry. Our products are marketed all over the world, and our dedication to research and development is ongoing, so our growth will continue in the future. Brother Filtration welcome partners from different countries and different ares.